SIEM REAP, CAMBODIA is timeless. 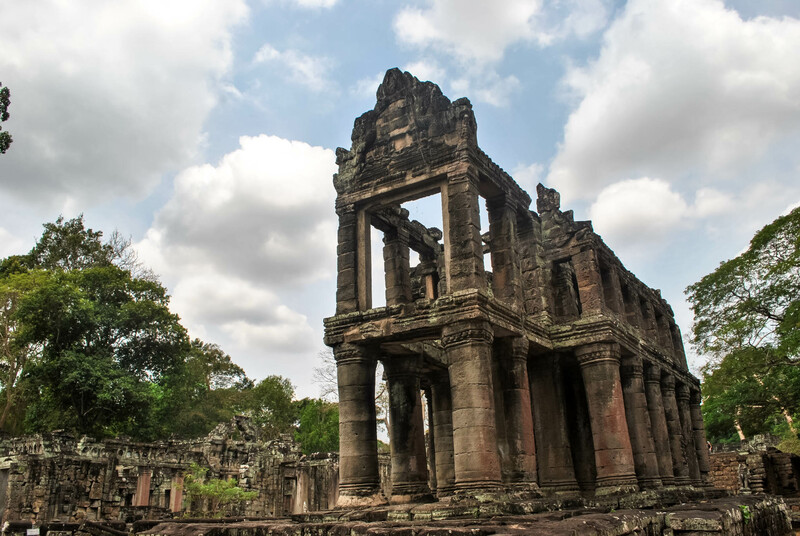 What was once a sleepy backwater became a thriving tourist destination renowned around the world because of the discovery of the sprawling Angkor temples. Indeed, tourism is the lifeblood of Siem Reap, yet despite its fame and the crowd it brings, it remains a charming town, offering a glimpse of quiet countryside living if you travel to the town’s outskirts.I initially wanted to make it as my base when I planned to do long-term backpacking around Southeast Asia back then. 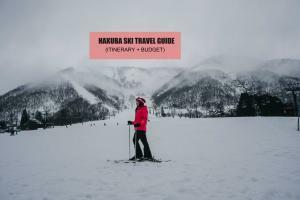 It’s cheap, it’s beautiful, it has good facilities and it’s easy to get around. But since the plan didn’t transpire because my priorities have changed, I visited here 3 times just to soak up its atmosphere. 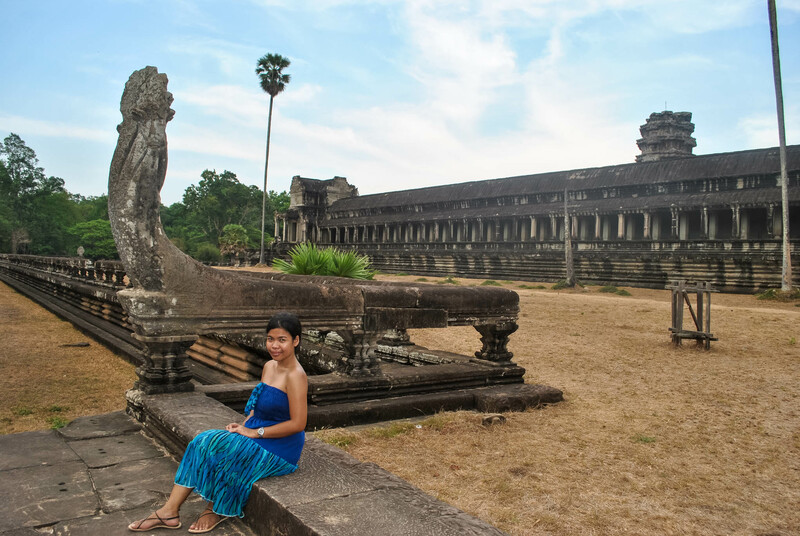 Here’s my SIEM REAP TRAVEL GUIDE BLOG to help you prepare for your trip. Do Philippine Passport Holders Need Visa when Entering Siem Reap (Cambodia)? 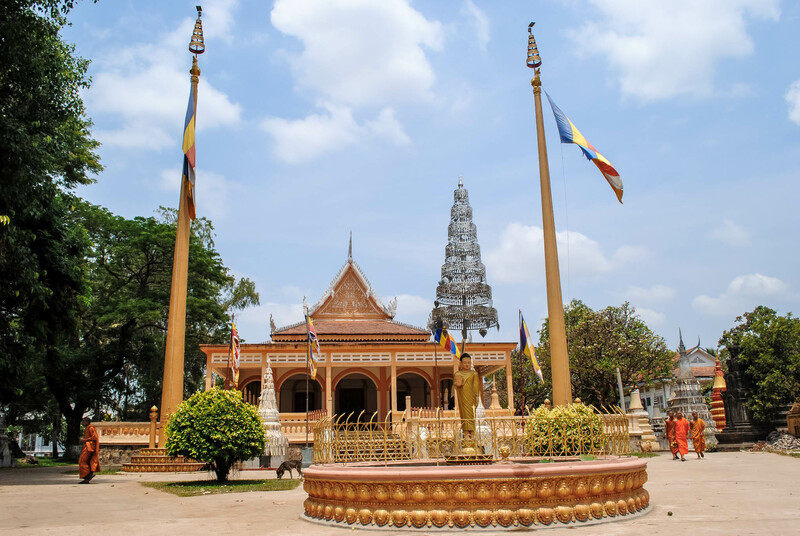 Since Cambodia is part of ASEAN, it’s visa-free for Philippine Passport Holders. You shouldn’t be paying anything at the Immigration counter or borders, even if they asked you to. Insist that Philippines is part of ASEAN and there is no visa fee. IMPORTANT: If you find yourself on a visa scam when crossing the border in Aranyanprathet (Thailand) to Poipet direct transfer to Siem Reap from Bangkok. Be persistent and tell them you will process it by yourself at the border gate and there is no need for visa (no fee) since you are a Philippine Passport holder. Siem Reap like the rest of Cambodia uses Riel. $ 1 = Riel 4,079 (PHP 50/ SGD 1). US dollars ($) is also accepted. 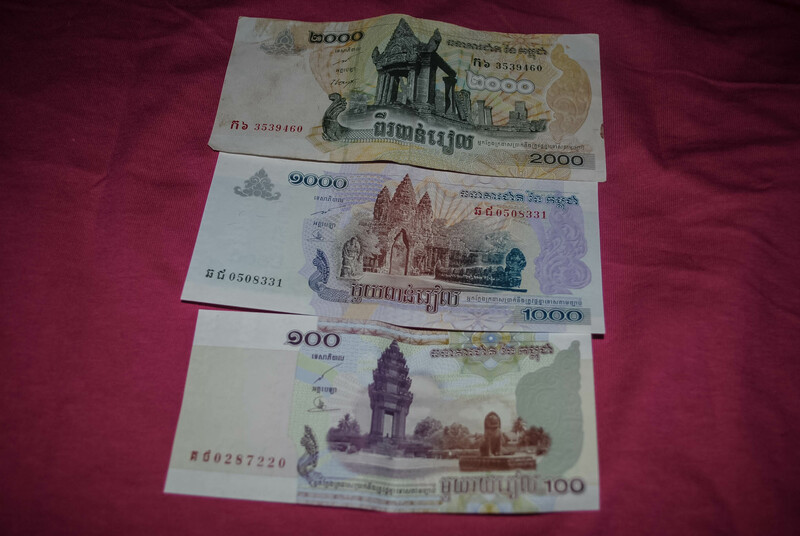 So it’s best to bring US dollars when traveling to Cambodia. I usually exchange money at Sanry’s in Robinson’s Pioneer Mall. Always ask for receipt. Do not bring peso as the exchange rate for peso is terrible at money changers scattered in downtown Siem Reap. But if you badly need to exchange peso, best rate is at the bank or Western Union in Siem Reap, but it’s a long process. I tried exchanging once at Western Union, they asked for my passport and they photocopied it, let me fill out a form where I had to write down all the serial numbers for each money. You can also withdraw from ATMs in Siem Reap. 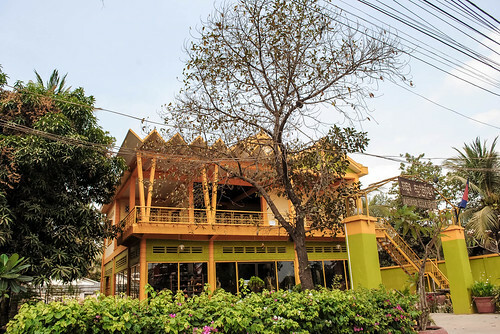 When booking for a hotel in Siem Reap, I prefer staying near Pub Street and Old Market since everything that I need is here – restaurants, shopping malls and its near the river area (pleasant place for biking around). 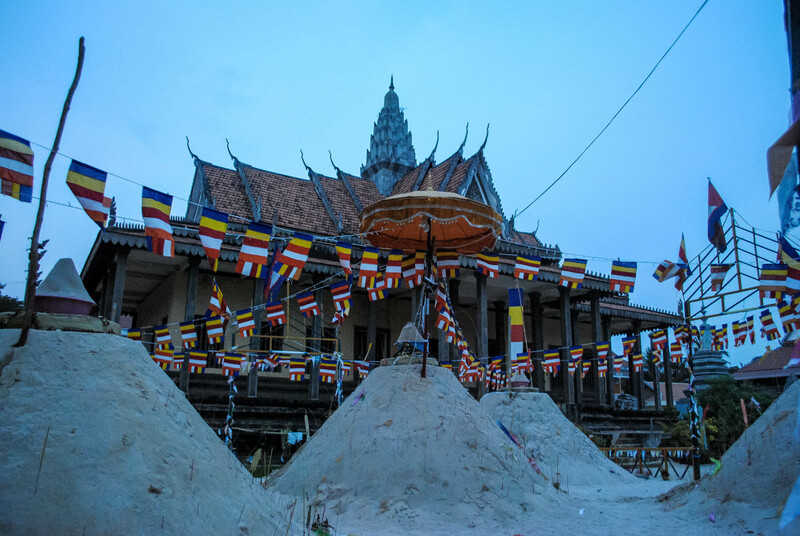 What I like about Siem Reap – aside from its neck-swiveling temples – is the wealth of affordable accommodations here. They’re cheap and really stylish! Here’s a list of some of the best hotels in Siem Reap. Always check the address and guest reviews when booking. 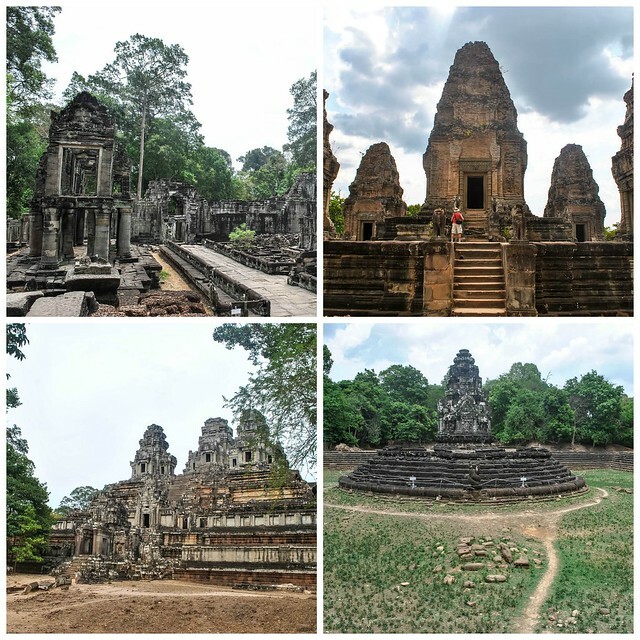 From Manila, you can find cheap flights to Siem Reap. Travel time to Siem Reap from Manila if flight is direct is approximately 2 hours. If you want to save a few bucks, I suggest you watch out for airline seat sales. If you are coming from Singapore, you can fly direct to Siem Reap for about 2 hours and 25 minutes. 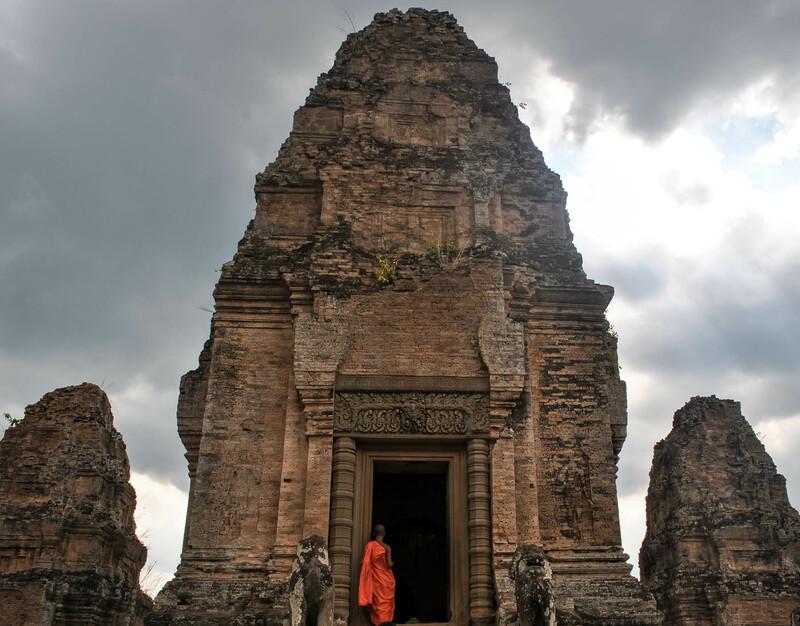 From Kuala Lumpur, Malaysia, there are direct flights to Siem Reap for about 2 hours and 5 minutes. From Siem Reap Airport, you have 5 options to get to to your hotel in Siem Reap town center: taxi, tuktuk, motodop, van and car. There are direct buses in Bangkok (Thailand) to that will take you to and from Siem Reap (Cambodia). Alternatively, there are direct vans to Siem Reap (Cambodia) from Bangkok. Immigration Border in Poipet (Cambodia) is open from 7:00 AM to 10:00 PM. But exiting in Aranyanprathet (Thailand) stops at 9:00 PM. There is no time difference between Thailand and Cambodia. Cheapest way to go to Siem Reap from Bangkok is by train. I did this route a couple of years ago. In Bangkok, head to Hualamphong Station. I took a taxi from Khao San Road area to get there and it’s around TBH 68 (PHP 100/ SGD 2/ $3). There are about two trains that leave from Bangkok (Thailand) to Aranyaprathet Station (Thailand near Cambodia border) first trip is 5:55 AM and last trip is 1:05 PM. Travel time is roughly 6 hours. Train fare is TBH 48 (PHP 71 / SGD 2/ USD 1.41). From the Aranyaprathet Station, you can take a tuktuk for about TBH 100 (PHP 148 / SGD 4 / $3) or motorbike for TBH 60 (PHP 89/ SGD 2.45/ $2) the friendship border (Rong Khlua Border). Walk towards the border to clear immigration. Do not entertain touts to avoid being scammed. Now once you clear Immigration at Poipet (Cambodia) border. Walk straight to the FREE shuttle bus to take you to the transport depot to Siem Reap, Cambodia. Just board the bus, it’s free. At the transport depot, ride the government bus for TBH 340 (PHP 503 /SGD 14/ $10) to Siem Reap (Cambodia). 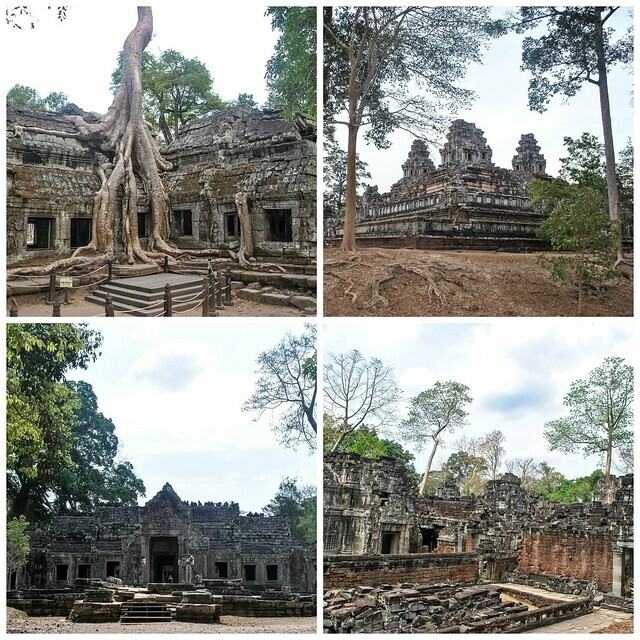 You may also take a taxi to Siem Reap for about PHP 1,758 ($ 35/KHR 142,758/SGD 49) to PHP 2764 ($55/KHR 224,334 / SGD 77). From Ho Chi Minh / Saigon you can take a bus to Siem Reap (Cambodia). Travel time is roughly 13 hours. Fare is around PHP 1,500 ($30 / KHR 122,364 / SGD 42 ). 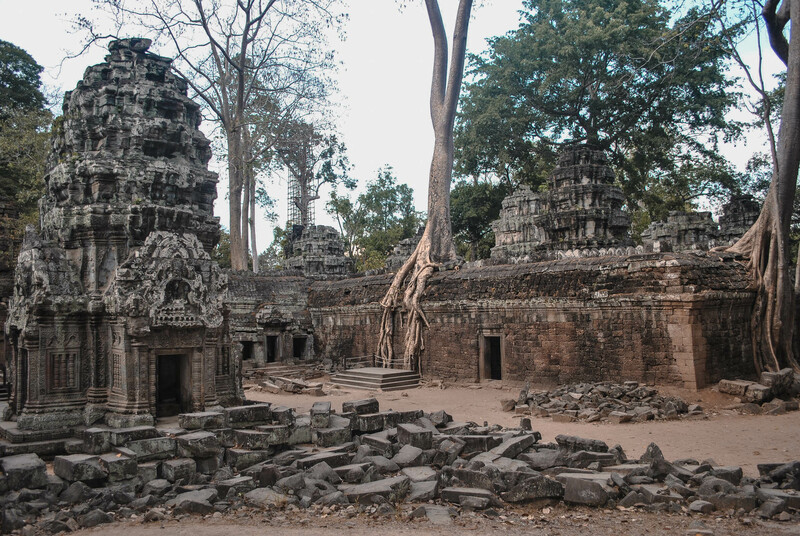 To get inside the temples of Angkor. 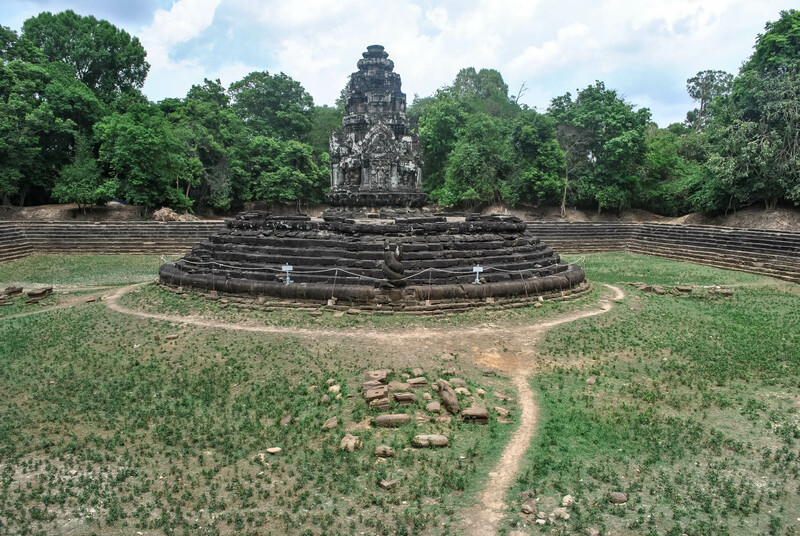 You need to have the Angkor Temple Pass, you need to drop by at APSARA (Authority for the Protection and Management of Angkor and the Region of Siem Reap) office on the way to Angkor City to buy the Angkor Pass. 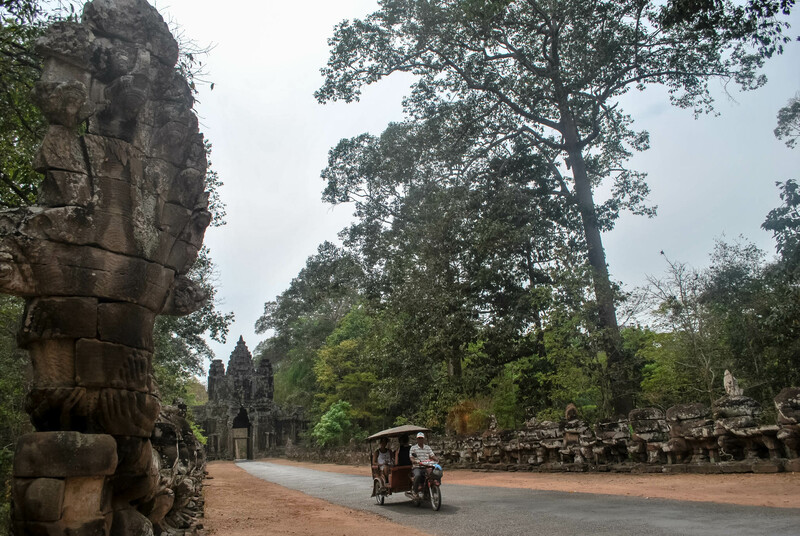 The driver knows this and will take you there if you don’t have the Angkor Pass yet. If you want a hassle-free guided private tours, you can BOOK FOR A SIEM REAP CAMBODIA TOUR HERE for roughly PHP 1,469 (USD 29/ SGD 40) It’s a small tour group (maximum 8 persons) and is inclusive of English speaking guide, lunch, water and hotel pick up and drop off. Angkor Pass not included yet. 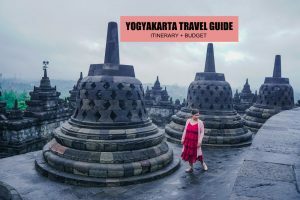 For $20 (PHP 1,000 / KHR 81,586/EURO 16/SGD 26/ MYR 78) to $25 (PHP 1,265/ KHR 101, 575/ SGD 33/MYR 98), you can hire a tuktuk to get around the temples, good for 4 people and that’s what a friend and I did when we returned here to attend the ASEAN blog conference. Angkor Pass not included yet. To get around downtown Siem Reap, tuktuk will cost around USD 1 (PHP 50/EURO 0.81/KHR 4,078/SGD 1.39/MYR 4) if near the town center (Pub Street and Market) to USD 3 (PHP 151/ EURO 2/KHR 12,236 /SGD 4/MYR 8) if far from the town center. Bikes area available for rent at some hotels and around Siem Reap town. Bike rental is around $2 (PHP100/KHR 8,158/SGD 2.78) TO $3 (PHP151/ KHR2,236/ SGD4) per day. I won’t recommend you use this when touring Angkor if you are pressed for time. The road is dusty and the heat is unforgiving so bring water to hydrate, sunblock and cap. 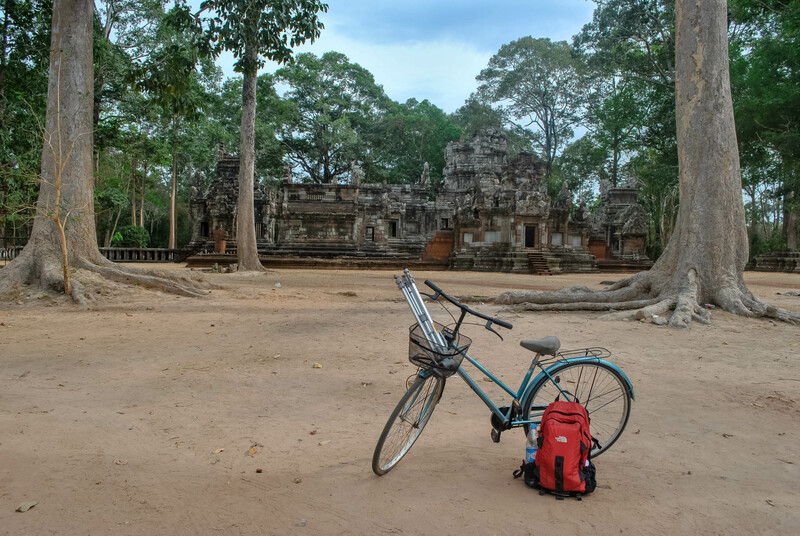 I still remember during my first solo backpacking in Siem Reap in 2010, I went biking for 3 days in a row around the sprawling Angkor City wearing summer dress and didn’t do enough research. It was fun but tiring and uncomfortable because the roads are too dusty. But again, I won’t recommend you do the same (unless you are an experienced biker or you have a couple of days to spend in Siem Reap) because it will eat up your time and it’s quite dangerous at night since there are a lot of vehicles running in the dark roads. But you can go biking around the town center if you wish to explore what the downtown has to offer. Renting motorbikes is prohibited for foreigners. But motodop (motorbikes) with drivers are available to take you to wherever you want to go in downtown Siem Reap for about $1 (PHP50/KHR 4,079/SGD 1.39) to $2 (PHP100/KHR 8,158/SGD 2.78) depending on the distance. Exploring the temples in Angkor (Siem Reap) is possible by hot air balloon. There are 2 options: you take the hot air balloon and fly for about 45 minutes during sunrise or sunset. Or ride the tethered balloon (captive balloon). Now let me remind you again that to get inside the temples of Angkor, you need to have the Angkor Temple Pass. You need to drop by at APSARA (Authority for the Protection and Management of Angkor and the Region of Siem Reap) office on the way to Angkor City to buy the Angkor Pass. There’s a heavy fine if you get caught by the guards without a pass. 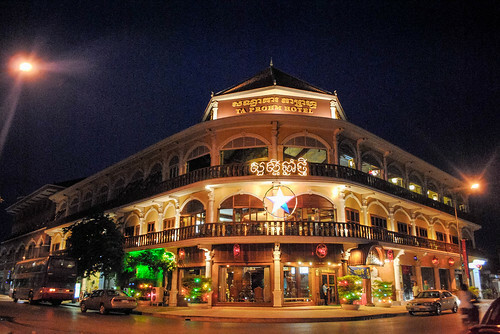 There are a handful of restaurants in downtown Siem Reap with nightly Apsara Dance Shows that usually begins at 7:00 PM. Price ranges from PHP 301 ($6 / KHR 24,536/ SGD 8) to PHP 2,008 ($40/ KHR 163,574 / SGD 66). There’s a free Apsara in Pub Street but the noise from the bar nearby can be annoying. Show only, food not included. You need to order and pay for the food. Note: Performance by Children from an NGO Show only, food not included. You need to order and pay for the food. 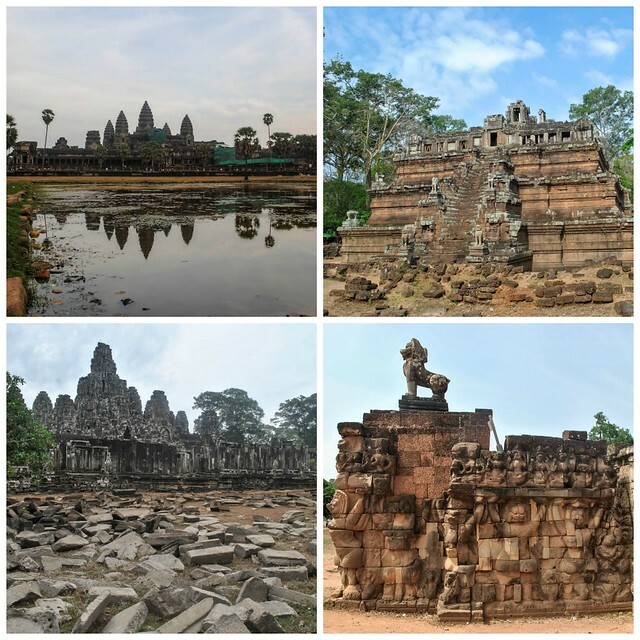 Here’s my sample Siem Reap, Cambodia Itinerary for a 3 days/ 2 night stay. You can use this if you only have the weekend or long weekend to tour. You can change it depending on your schedule. If you have 4 days to spend in Cambodia, you can add the Big Circuit Tour. 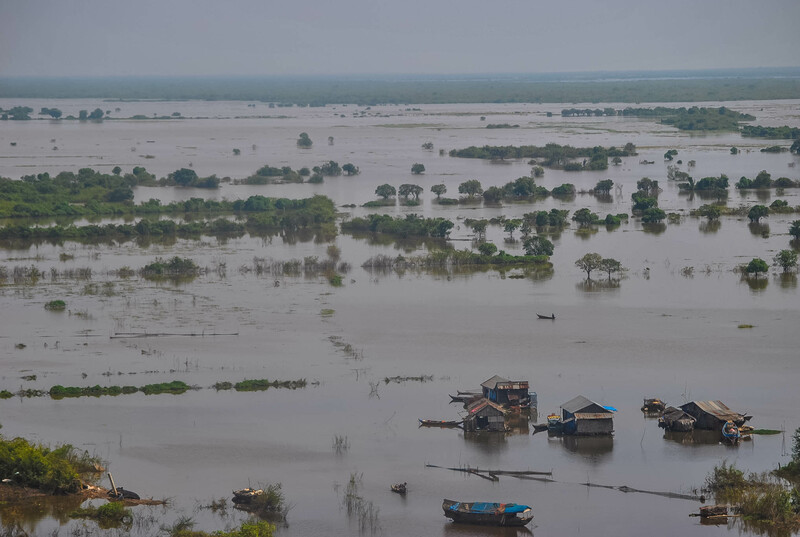 If you want to skip the Tonle Sap Tour, you can replace it with the cooking class. 07:35 PM ETD Manila to Siem Reap. 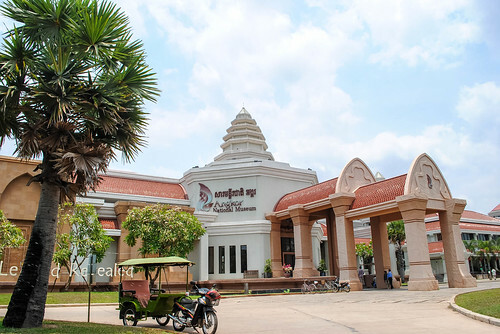 09:30 PM PHP 452 ($9/ KHR 36,709/ SGD 13 ) ETA Siem Reap (Cambodia). Tuktuk to Hotel. 10:30 PM Freshen up. Sleep. 08:30 AM PHP 1,858 (USD 37/ KHR 151,305 / SGD 51) Drop by at APSARA. 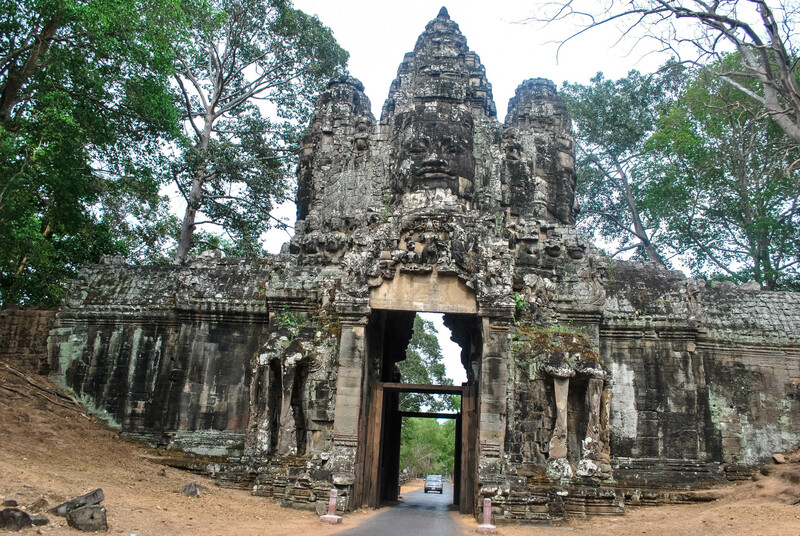 Buy the Angkor Pass for 1 day. Per person price. 05:00 PM End of tour. Back to Hotel to Freshen up. 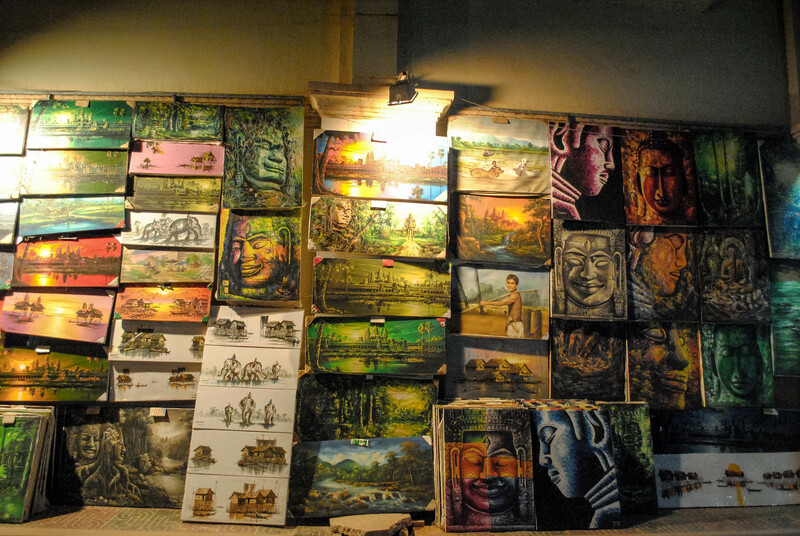 09:00 PM Browse Angkor Night Market or Shop around for souvenirs. 07:00 AM PHP 150 ($3/ KHR 12,268/ SGD 4) Breakfast. 12:00 PM Back to hotel. Check-out. Leave luggage. 01:00 PM PHP 100 ($2/ KHR 8,179 / SGD 3) Rent Bike. 01:30 PM FREE Drop by at Preah Prom Rath Pagoda. 01:50 PM PHP 603 ($12/ KHR 49,072 / SGD 17) Visit Angkor Museum. 03:00 PM FREE Visit Silk Farm. 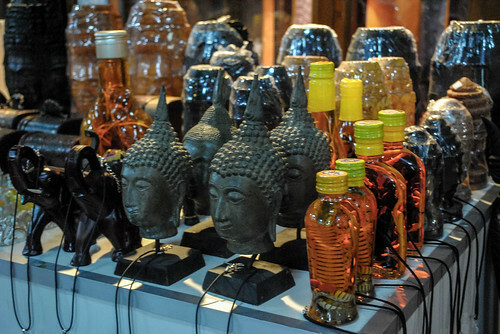 04:30 PM Visit Old Market and buy souvenirs. 07:00 PM Get luggage at hotel. 07:00 PM PHP 301 ($6/ KHR 24,536/ SGD 8) Hire tuktuk to Siem Reap Airport. ETD Airport. *Flight + Philippine travel tax of PHP 1,620 (USD 32) not included. 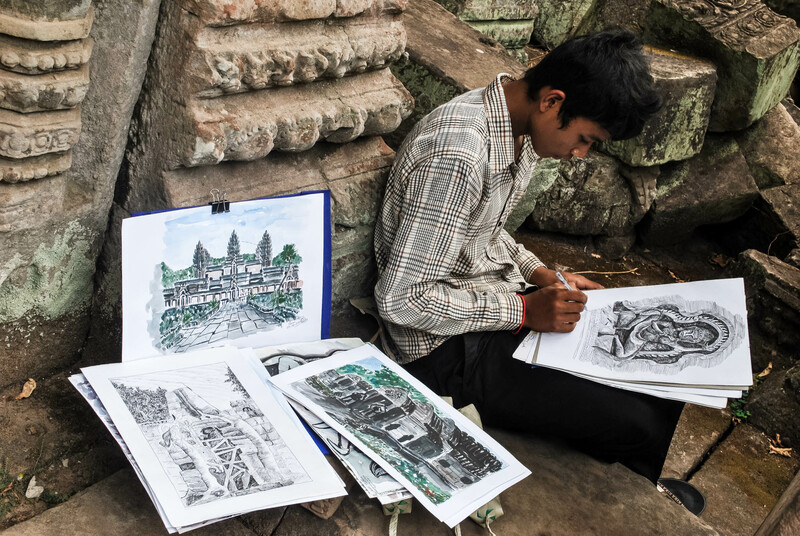 How much money to bring in Siem Reap? If you follow the Siem Reap itinerary above, you will spend more or less PHP 7,229 ($154/ KHR 592,858/ SGD 202) for a 3 days 2 nights stay, assuming you’re able to book a hotel for $30 per night and you have a travel buddy, so you can split the cost. The meals in Siem Reap usually cost around PHP 150 ($3/ KHR 12,268/ SGD 4) to (S5/ KHR / SGD 7). If you eat at fancy restaurants, prepare around PHP ($10/ KHR 40,894- $20 per meal. Drinks usually costs about $1 – $3, depending on where you’ll buy it, usually more expensive if you buy at the temple vendors. PHP 301 ($6/KHR24,536/ SGD 8) Tuktuk from hotel to airport. If you wish to explore more temples, you can add 1 or 2 days and go for the ANGKOR 3 DAY PASS for $62 (PHP 3,111/ KHR 252,886/SGD 87) so hiring a tuktuk for whole day tour will cost roughly $20 (PHP 1,000 / KHR 81,586) to $25 (PHP 1,265/ KHR 101, 575/ SGD 36) per day, good for 4 persons. 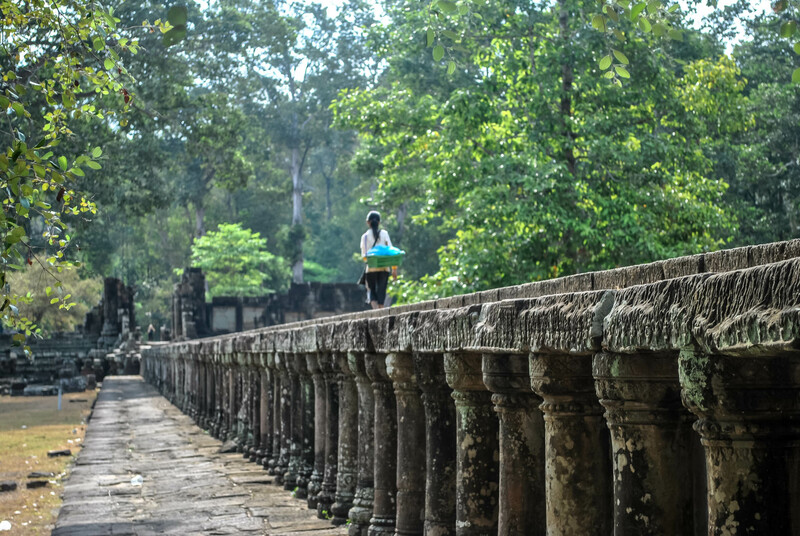 Wear comfortable shoes during the Angkor temple tour. Keep yourself hydrated especially if you are biking. Bring water or buy from vendors or restaurants scattered around the temple. Wear sunblock and hat, if you can bring umbrella, much better. Wear light clothing during the tour but not to revealing. 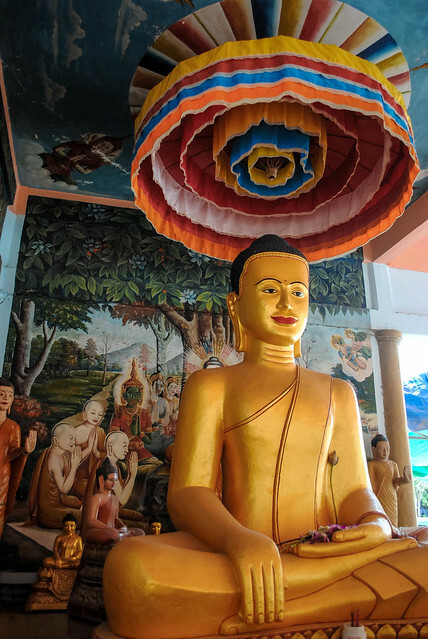 If you find yourself on a visa scam when crossing the border in Aranyanprathet (Thailand) to Poipet direct transfer to Siem Reap from Bangkok. Be persistent and tell them you will process it by yourself at the border gate and there is no need for visa (no fee) since you are a Philippine Passport holder. If you book taxi or tuktuk inside the airport to downtown Siem Reap, it’s usually more expensive. You can exit the airport, walk to the parking lot and exit and hail a tuktuk or taxi outside. But if you are arriving in the wee hours of the morning or late at night, best to just book inside the airport for your security. Locals inside the temple may offer to guide you and offer to take your photos at the best spots. They seem helpful, but I was warned they ask for expensive tip. So make sure you agree with price first, better yet just BOOK A GUIDED TOUR HERE. 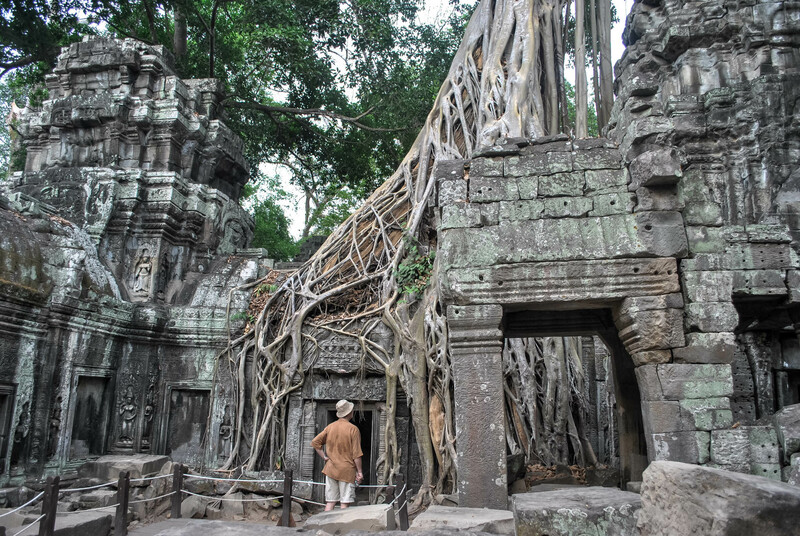 An old man inside the temple actually approached me and took my photo in Ta Phrom and it was a nice, but he left when he noticed a blonde foreign tourist with her family and he assisted them instead. So I couldn’t confirm if he was going to ask for an expensive guide fee. But there were kids I met at Bayon temple who were begging for $1. 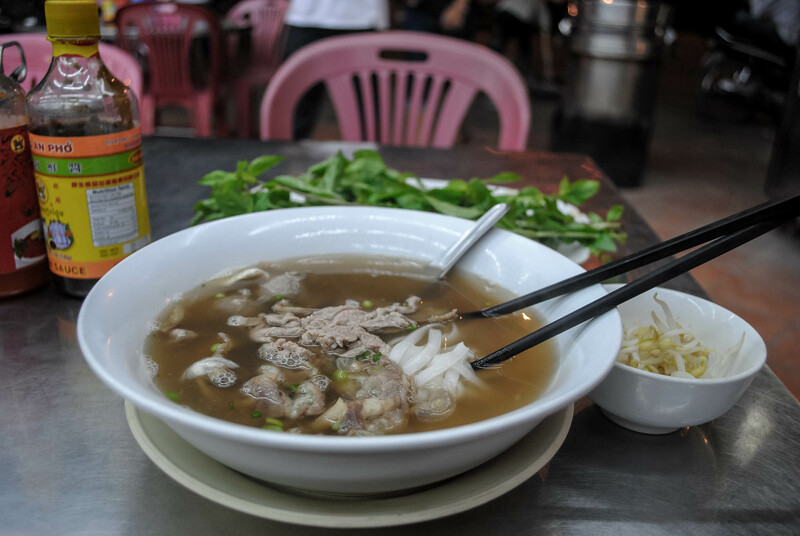 There’s a wealth of noodle stall around Angkor, which are a good spot for a quick bite. Water and softdrinks are sold everywhere around the temples by vendors and even kids lurking at the entrance or in hidden corners of the temples. About the Blogger : Gael is an award-winning Filipina travel blogger. Her work has appeared in local and international publications. Thanks for sharing your experience here, Ericson. Yes, the visa scam has been going on for years. I guess they do that usually to foreigners that need to pay for the visa, just so they wouldn’t have to wait that long for everyone because the bus has to move on. I usually book buses from my hotel for convenience, they usually get a small commission. This is awesome! very helpful and informative. I’m planning to go this coming August 2018. Thanks for sharing. You guys rock! 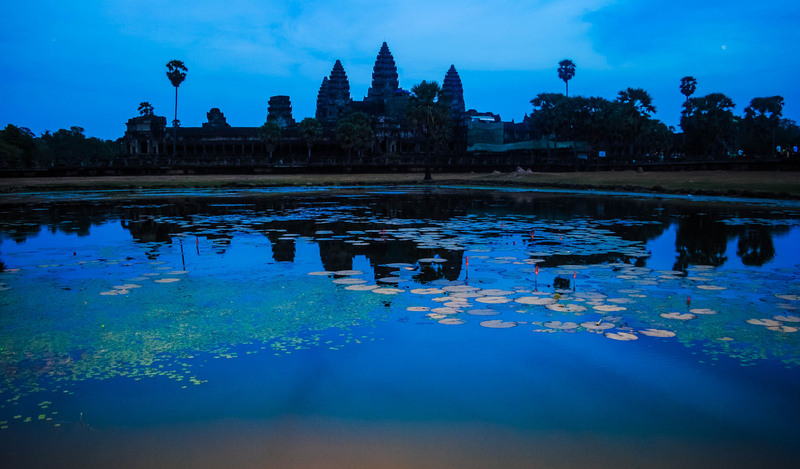 I can’t wait to visit Cambodia and especially Siem Reap! It seems like such a unique place 🙂 Really useful breakdown of the expenses of the city! I had hoped to spend a little less, but lets see how it turns out when I visit! aside from Hotel booking confirmation Do I need to have Bus transport ticket too ? Not really, but you can book in advance thru the link above. For immigration purposes they will ask for a return ticket to PH.